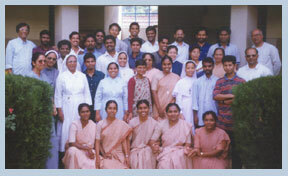 "I chose to come to Don Bosco Renewal Centre, Bangalore, for my sabbatical from September 2005 to February 2006. After having spent six months here, I'm sure of having made the right choice at the right time, since I've enjoyed the courses I've been able to follow, and in DBRC I've met the right people with whom to share my personal experiences. Here, too, I've had an extraordinary opportunity to prepare myself to face the challenges I'll come across in the years ahead. Now I'm fully convinced that I could not have made a better choice." "The questions which I had within me were answered by this session"
"In what ways have you profited from the course?" A Philippino Salesian Brother comments on Accommodation - "Fantastic! (5 Star)". "I am more aware of myself; understanding people around me and my approach to others are so different now, very positive and cordial." "The skills and methods were presented very well. We learnt a lot in five days. the notes were very clear. It can be used in our youth ministry." "Though it was for only one day, a lot of input on Youth Spirituality gave me the insight into what type of an animator I should be and how I need to help in spiritual animation of the young. The concluding liturgy of the day was very inspiring and helpful." "Thank you very much for teaching another way to make meditation and helping to come out of myself. 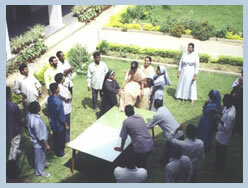 Course on "Animation of Community life"
In what ways have you profited from this course?
" To look at persons and events of life in a different way than I am used to." I have to learn to understand the other. I have to be more open. I need to share more deeply and encourage others to do it also. I am better equipped with animation skills. I have learned to be more aware of my impulsive behaviour. Though I was in a community all these years, I did not know really what it all meant. Now I have a much better awareness of it. This is one of the best courses I have attended. I came to know myself more wholistically. Now I have a better idea of how to animate the community in various aspects: relationships, administration, mission, spiritual life, etc. I think I can be a better person in the community by being more understanding towards the others. What were the three things that you liked best in the course? I came to know my good points and weak areas. I now understand more clearly my role as superior in my community. Not to reject anyone in the community. Helps for me to become a good leader, better administrator, and came closer to God through the meditations. The course has helped me to be aware of my + and - points. It has helped me to understand more about relationship, leadership and administration. The course was very good for me personally. I face a lot of situations where I feel helpless. During this course I came to know myself more, my abilities, capacities and my character. 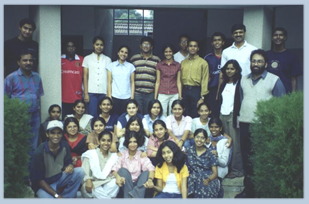 Personal Improvement for College students conducted by Mr. Leo Lobo & team. Mr. Lobo conducted in our premises two three-day courses for the students of St. Joseph's College, Jyothi Niwas College, and Law College, Bangalore. 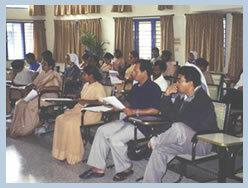 "When we conduct courses here, things have to go on well. The atmosphere of welcome and freedom we enjoy is a catalyst for change and growth."